Airpark Limousines offer premium chauffer driven hire transport services with a stunning fleet of vehicles including a Chrysler 300C Stretch and Mercedes sedans. Available for all occasions such as; Corporate Transfers, Weddings, Wine Tours and other special events. Airpark Limousines is luxury Limousine transport based in Christchurch, New Zealand. We are available South Island wide. Coming to Christchurch, Roma Motel is very central to almost all locations easily via Bus, Taxi or Walking. But if your thinking of hiring a car for those day trips to Hanmer Springs, Kaikoura, Lake Tekapo or Akoroa. 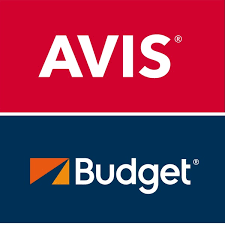 There is plenty of choice: Avis, Hertz, Usave, Budget, Abell, go rentals, affordable rentals. And thats just to name a few, basically rental car hire in Christchurch is easy and Roma on Riccarton Motel is happy to help arrange this with you should you need help. Coming to Canterbury Museum and need Christchurch accommodation? Roma on Riccarton Motel is ideally positioned for an easy walk to here thru the lovely Botanical Gardens and Christchurch’s Cultural Precinct, is housed in a beautiful stone building that was first opened in 1870. The Museum is world renowned for its natural and human history collections and has a changing programme of exhibitions and events complementing the permanent displays. Saturdays 08:30 a.m. – 8:30 p.m.
Sundays 9:00 a.m. – 8:30 p.m.